The Zoom Cantilever Visitor Chair is suitable for any waiting area or meeting area. It is available..
Portland Black Mesh Cantilever Chair Superb Value Mesh Chair Back Support Soft mesh cloth s.. The Mossley Fabric Cantilever Chair is our black cantilever framed visitor chair. Ideal for boardroo.. The Reading Airmesh Cantilever Chair is a match to our Relay office chairs, they feature a pad.. 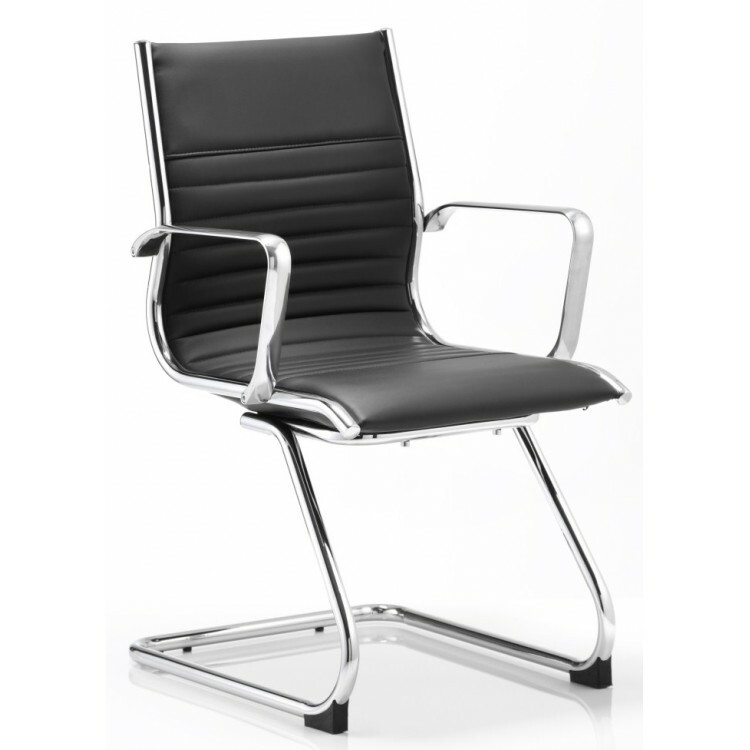 The Reading Leather Seat Cantilever Chair is a match to our Relay office chairs, they feature a.. The Napier is our mesh cantilever visitor chair which is suitable for almost any meeting, conference..  The Mossley Leather Cantilever Chair is our Black Bonded Leather Cantilever Chair, it is suitable fo.. 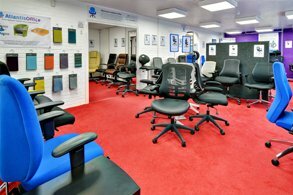 The Ergo Deluxe Visitor Chair is ideal for boardrooms and meeting areas, it is available in blue or .. The Ergo Deluxe Visitor Chair is ideal for boardrooms and meeting areas, it is available in black PU..
Dewsbury Executive Black Leather Faced Cantilever Visitor Office Chair Designed high back leathe.. The Elegance is our medium back, leather look executive cantilever visitor chair. The Elegance is av..
Rambo Visitor Leather Chair Soft bonded leather Padded armrests Chrome Cantilever base &..
Luxurious and contemporary design Stylish cantilever frame incorporates armrests Outstanding..
Galloway Fabric Cantilever Chair Generously Padded Seat & Back, with Padded Armrests Black..
Galloway Leather Cantilever Chair​ Padded Bonded Leather Arms with Gun Metal Surrounding Paint .. The Mossley Deluxe Leather Cantilever Office Chair is available in a choice of 3 bonded leather fa..
Vogue is a complete range of chairs offering elegant solutions to all your seating needs. From sma.. The Alresford Visitor Chair is available in black or white bonded leather and is ideal for use in co.. The Malta medium back bespoke cantilever visitor chair is unique to the Malta visitor and meeting r.. Contemporary style leather faced cantilever visitors chairRed leatherPadded chrome armrests in match.. The Altino mesh back visitors chair has a mesh back with fabric seat, cantilever frame and a choic..
Tuba has a polished chrome cantilever frame and is handsomely upholstered for a conference room ch.. The Malta high back bespoke cantilever visitor chair is unique to the Malta visitor and meeting r.. The Malta mesh back bespoke cantilever visitor chair is unique to the Malta visitor and meeting ran..